This year marked an unprecedented number of women in government, including women in state legislatures. The 2012 Project, a group that aimed to have 20% of those elected to congress be women by 2012, surpassed their goals this election. More women in Congress could change the political lanscape in the US, and add a broader range of perspectives to politics. 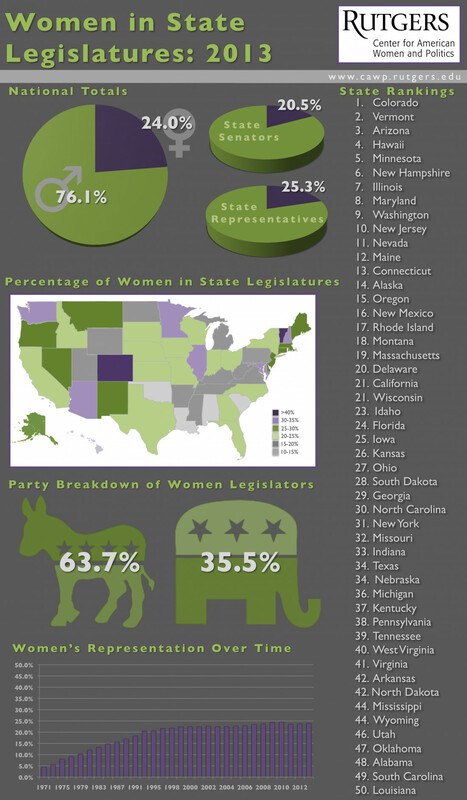 Here is a breakdown of female lawmakers by state, party, time, and place in government.